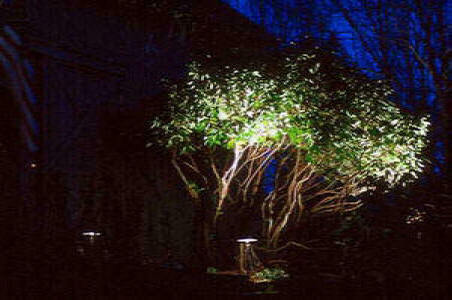 LOW VOLTAGE- By far the most suitable lighting systems for installation in the garden environment, are known as LOW VOLTAGE. These are normally 12 volts and are therefore inherently safe. 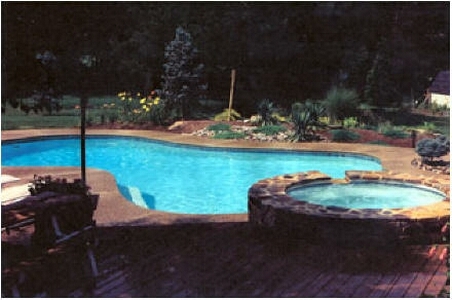 Not only are they more economical to install, they grow and develop with the garden. Why only enjoy your beautiful landscaping during the day? 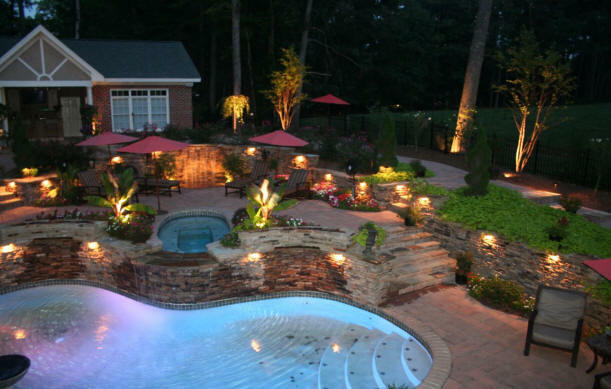 Our lighting department can bring your landscape to life at night. We design to accentuate the landscape and architectural style of your home and to bring out the special beauty of the night garden. We illuminate the best features, leaving dark those you wish to conceal. 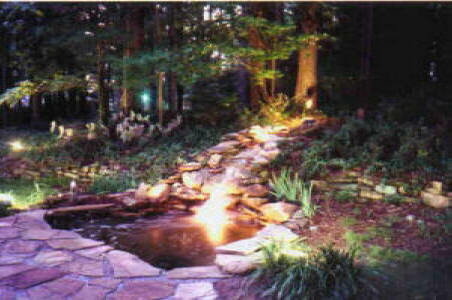 Think of how stunning that Waterfall would look, lighted, or the subtle look of a softly lit stone walkway or stairway. Imagine grasses flooded from behind with light. 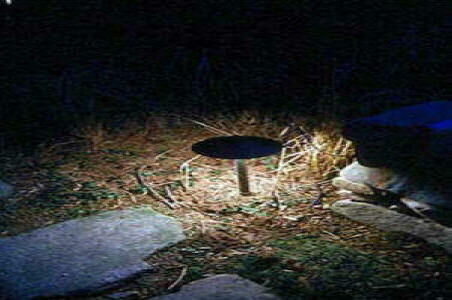 Garden lighting also has a practical side. It helps you see where you're walking at night and discourages intruders by lighting the ground level clearly and eliminating shadows near the house. 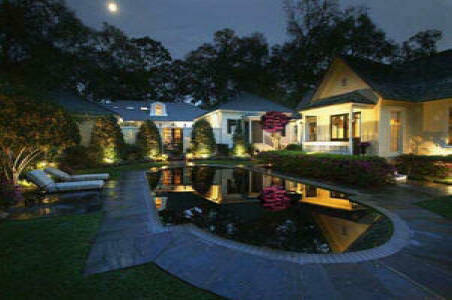 Our lighting department can tailor a 12 volt outdoor lighting system to your specific needs! What do we light? 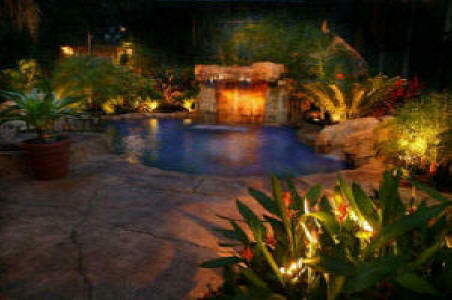 Trees and Shrubs Gardens Pathways Walkways Decks Pergola's Gazebo's Waterfalls Walls. 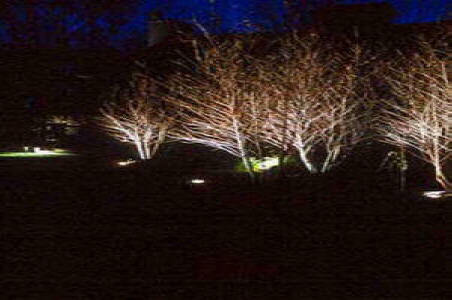 UP-LIGHTING- is a technique that is utilized frequently by landscape lighting designers to emphasize a particular feature in the yard. Suitable subjects for this technique include open structured, ornamental trees, Japanese maples, and dogwoods. The light fixtures will be shielded from view to avoid glare. 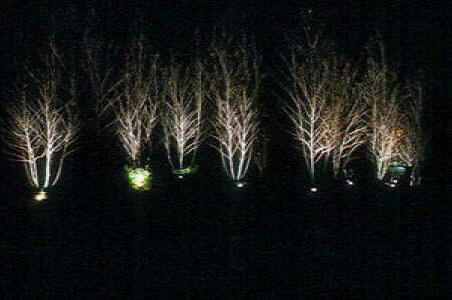 DOWN LIGHT- is used if you have an abundance of mature trees in your garden, we can install lights high up in the canopy above branches and leaves. This will cast interesting shadows down onto the surrounding areas while at the same time, creating an inviting level of illumination in the surrounding area. BACK LIGHT- involves positioning a light in the same plane as an interestingly textured surface such as a brick or stone wall. This light will bring out the texture while providing reflected light into the surroundings. 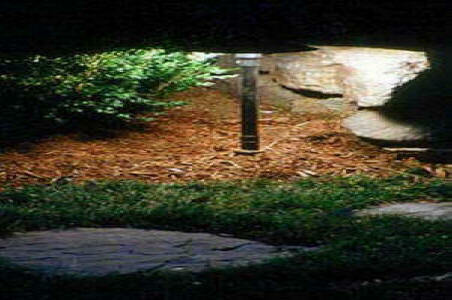 PATHWAY LIGHT- provides a soft subtle light for the walkway or stairway. 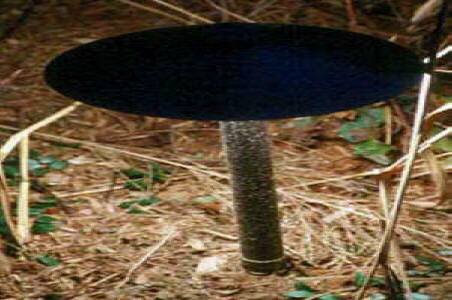 The fixtures protrude about 20" above ground and are usually made of solid brass.